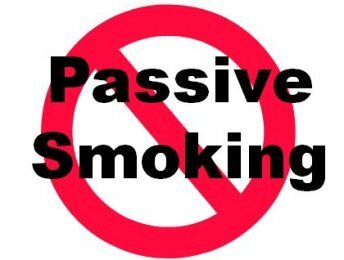 Passive Smokers More Alike to Be Overweight/Obese and Have Type 2 Diabetes! Passive Smoking Leads to Overweight/Obesity and Type 2 Diabetes! There are many studies confirming that active smokers (i.e., those who smoke themselves) are more prone to develop metabolic diseases such as type 2 diabetes although their body mass index (BMI) is lower than of non-smokers. I understand that majority of you knows the bad consequences of smoking. I will not mention all the bad effects of smoke in your body, but I will stop only on few of them. The new problem that has come out is related to passive/secondhand smokers, i.e., those who do not smoke themselves but are exposed to cigarette smoke. Actually, studies have shown that passive smokers have increased chances to develop certain metabolic diseases such as type 2 diabetes. Furthermore, they have also greater risk to be overweight or obese. Here starts the other sad part of the medallion. The medical team from the Department of Internal Medicine at Charles R.Drew University, Los Angeles, headed by Theodore C. Friedman, MD, PhD, has studied the effects of secondhand smoking to the human body. What they did is to collect data from the participants in the National Health and Nutrition Examination Survey (NHANES). They have gathered information regarding the levels of cotinine in the bloodstream of passive smokers. For your information, cotinine is the substance that is left after our body metabolizes nicotine (the well-known substance/toxin inside the cigarette). The serum cotinine levels determined the exposure level of secondhand smokers to cigarette smoke. I will not give details on this study, but I want to warn you about the high risks of not only smoking but also to the exposure to smoke. You are always at high risk if you breathe briefly the cigarette smoke. Higher blood sugar levels and higher A1C levels were found in passive smokers together with high BMI. The researchers concluded that passive smoking can lead to type 2 diabetes independently from obesity. In other words, individuals with type 2 diabetes were passive smokers, but not obese. “Separating smokers from non-smokers, air ventilation and cleaning does not reduce the risks of smoke exposure”. 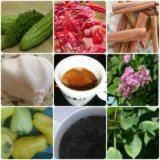 At last, as you may, our body does not need the extra nicotine or its metabolites (such as cotinine) as long as it is healthy and has its own sources to get he right elements it needs. So, why should we waste money in something unworthy? This is not something wise for humans. We have a life ahead and should play fair. Otherwise, problems will come, more money will be wasted in hospital bills, and more people will get bored of us. It is much wiser to conduct a healthy lifestyle, follow a healthy diet and other natural remedies than wasting money. That will not save only your pocket but your life also. P.s. For those of you who did not have the chance to get our latest e-book on Diabetes complications, please follow the instructions given while reaching the link.